I first picked up a crochet hook in hospital, where I was receiving treatment for an eating disorder and picked up a crochet hook for the first time. 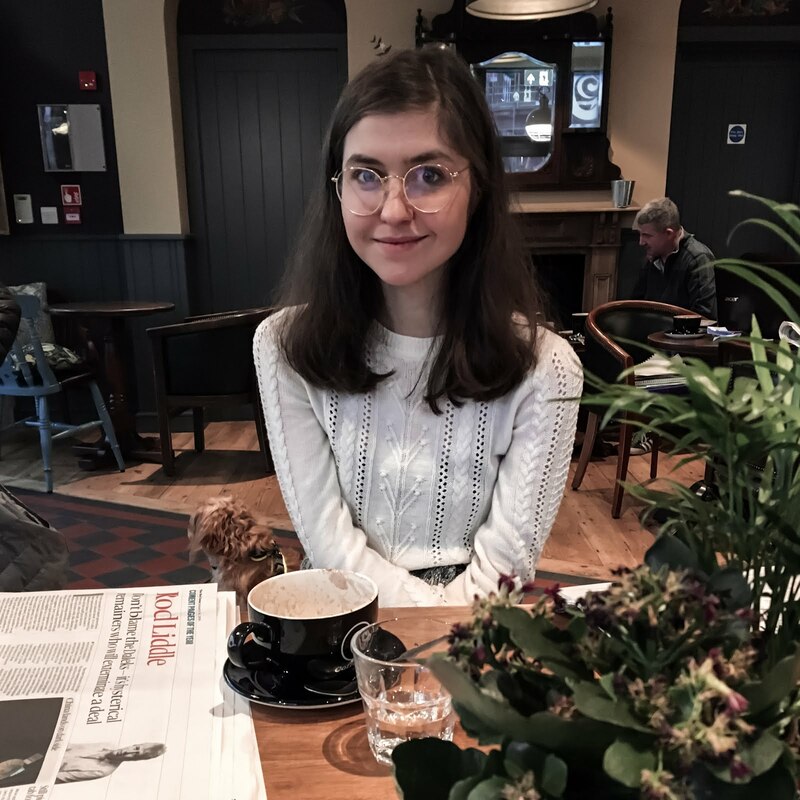 I was encouraged to fill my day with things that spoke to SOPHIE - not anorexia - so that’s when I picked my Harry Potter books back up and began to see an analogy: Making + Magic = Me. In other words: Wellness = WitchCrafting Wizardry. While treatment provided physical strength to “sock it” to the ED, crafts were my “light in the darkest of times”. They kept me going when the “mind muggles” told me to stop. It was during those weeks in hospital that the first ever SPEW Crew creature was born - a House Elf I christened “Sir Bumble”, who is now CEO (Chief Elf Operator) of Bumble and Be! Every SPEW Crew adoption card has “certified by Sir Bumble” written at the bottom, because without his knobbly knees and dropped stitches, none of my other crochet beasties would be flying free! "We must never forget one thing. It all started with a mouse an ELF." It was during those weeks in 2017 that a nurse suggested I open an Etsy Store. Fellow patients seconded her comment and one girl in particular is an inexhaustible source of motivation for my maker life. 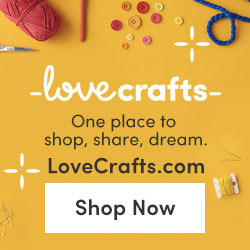 Despite having her own struggles, she ALWAYS finds the time to think of me and surprise me with her own magical creations, like the OWL bunting in my first Silver Linings Sunday post! She was also one of the first to ever adopt a SPEW Crew beastie and now has a whole menagerie! For this prompt, I decided to have a bit of fan-fiction fun with "the burrow" chapter in Chamber of Secrets. Along with "Mr and Mrs Dursley, of number four privet drive", it is the one passage I know by heart, having recited it for my first ever LAMDA exam in Primary School! Some may think I'm bat-poop crazy, but others are "just as sane as I am" and seemed to really like it! If this month taught me one thing, it's that you can ALWAYS find your tribe and those are the ones who matter. Life at the Bumble & Be HQ is as different as possible from life in the Beanie Babies Factory. Big Businesses like to everything neat and ordered; the WitchCrafter’s Basket is ready to burst with strange and SPEWtacular surprises. Guests probably got a shock when they stepped through the door and heard the WitchCrafter say “Smile for the camera, beasties!” at a group of crochet creatures. 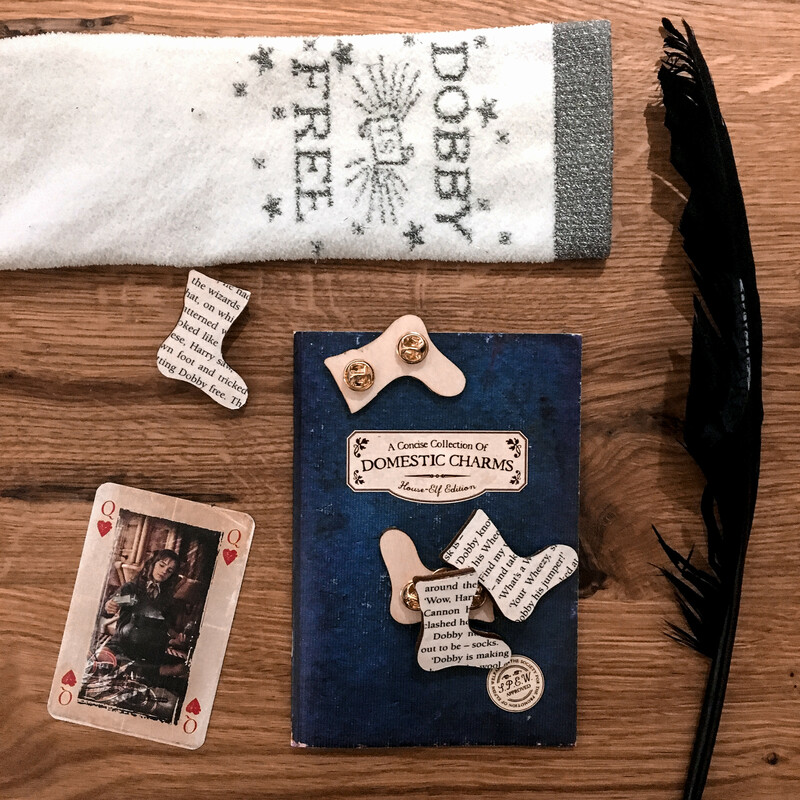 Less of a shock would be hearing “PLEASE tidy your yarn stash Sophie!” or following a Hansel and Gretel THREADcrumb trail to the living room… the witchcrafter tries to stay tidy, but she solemnly swears the wool ravels itself! 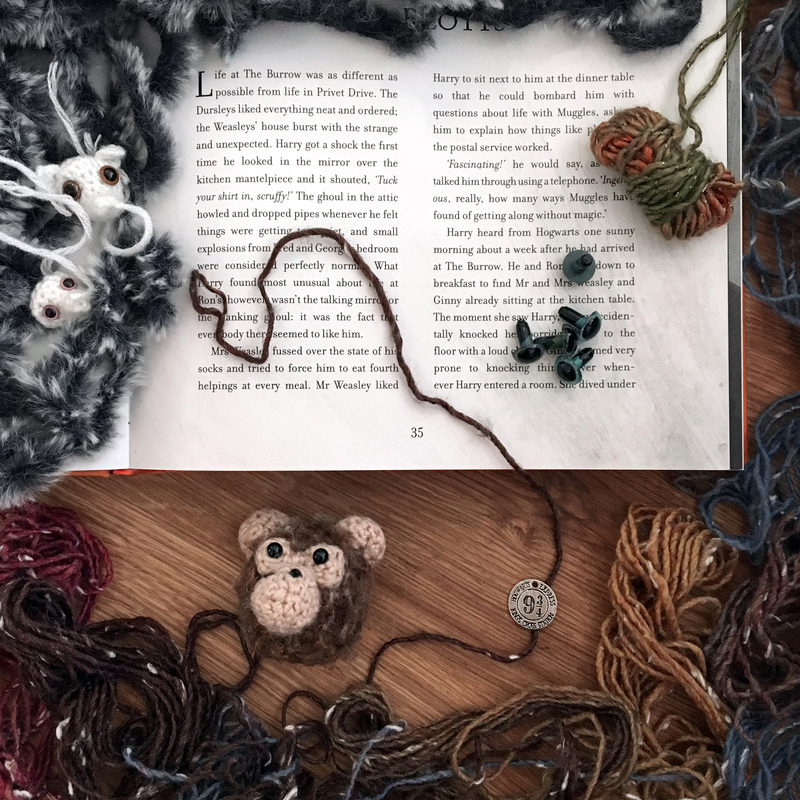 It isn’t unusual to find a random monkey head nestled in a ball of yarn (to paraphrase Molly Weasley, "that’s where you’ve been") and eye-box explosions from the living room are considered perfectly normal. Nevertheless, what this whimsical Witchcrafter DOES find most unusual is the fact that people seem to like her - despite all her rambles and bumbling #SmallBiz moments. 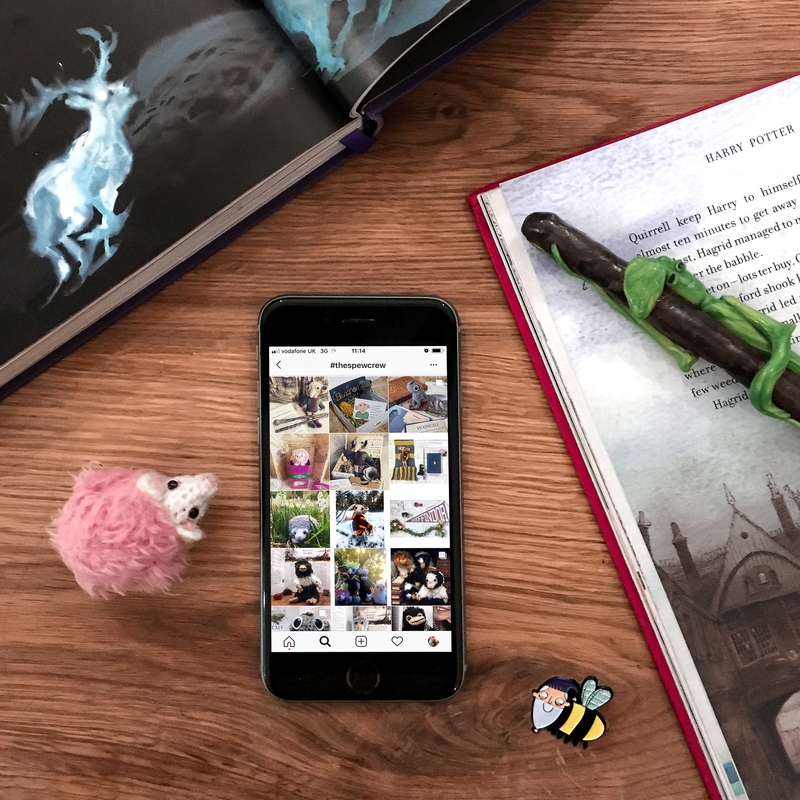 “Thank-you”, Potterheads say, when the Witchcrafter shares her ‘Mind Muggles’ and dares to be #instanotready… even if the algorithm doesn’t always agree. In a world of filters, followers & freebies, it’s ok to share those #LessThanGlam moments. In a world of Dursleys, find your inner Luna. Set your SOUL FREE. BUMBLE AND BE was born in 2016, after searching for a blog name that truly captured Sophie. Before then I was Writing Possibility, which had a nice story behind it (hello Emily Dickinson), but began to feel a bit impersonal. I’d been brainstorming new names for months, but when I finally found my “chosen one” it was completely left-field... I suppose you could say I “bumbled” upon it! I was in a keywork session with my favourite nurse and she suggested that we un-invent the word “Perfect" and come up with a new name. So what could it be? BUMBLEBEE! Every time I wanted to say "perfect", I would say Bumblebee and just saying the word helped me feel more free. So how did I get to Bumble AND Be? The inspiration came from two of my favourite characters - Albus Dumbledore and Jennifer Honey, who both owe their name to this beeloved beastie. Neither Miss Honey or Dumbledore are perfect. they share a love for the whimsical, wonderful things in life and both understand it doesn’t matter what you are born, or where you’ve come from. It’s who you ARE. 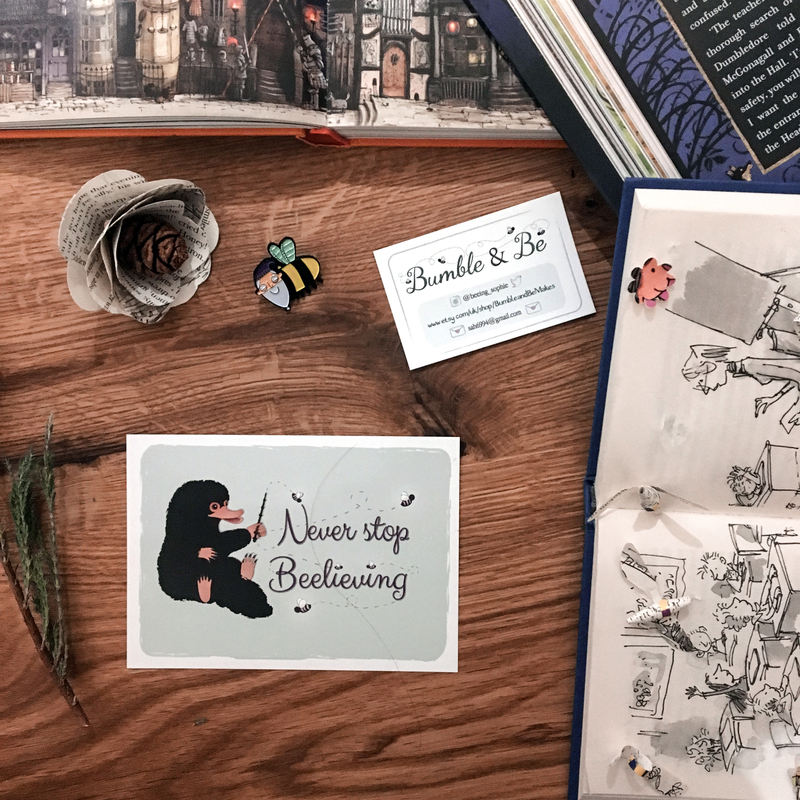 Bumble and Be is built on the belief that anyone can bloom, no matter the branches that hang overhead, or any winds that try to blow them off course. Like the bumblebee who symbolises personal strength and possibility. So whether you are buzzing through the world, or simply trying to bumble along, live your BEst life. Let yourself BE. 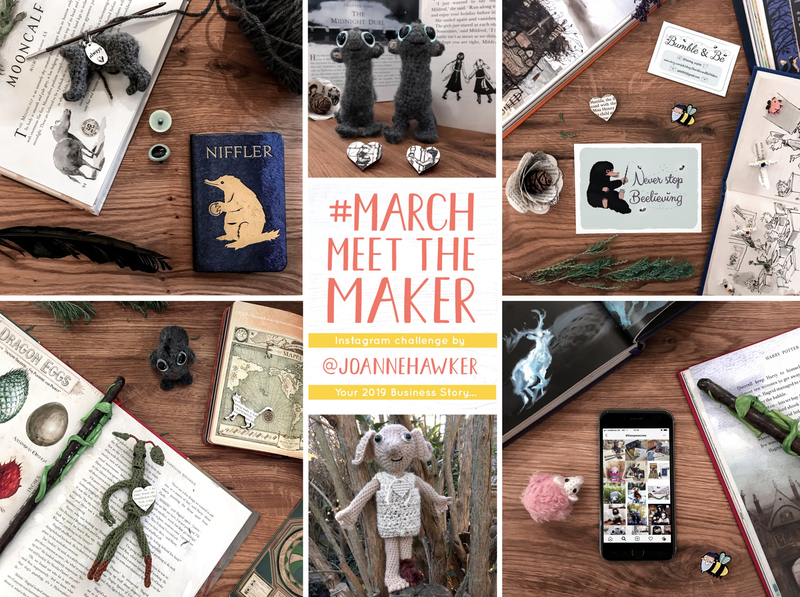 When I saw this prompt for #MarchMeetTheMaker I was a bit stupefied. However, I thought it was an opportunity to show one of my favourite things about crochet: PORTABILITY. In a KNUTSHELL... the world is my Workspace! Brian Bowtuckle spied my beloved Wool Shop bag in the corner of his eye and immediately got to work setting up this prompt. Five minutes later, you get the picture - literally. I rarely leave the house without my crafting essentials and have been found crocheting on beaches, bus journeys and - on one occasion - standing at the bus stop. Where there’s a WitchCrafter there’s a way and I'll always find a way... even if airport security tries to say otherwise! Surely a crochet hook is safer than knitting needles? One of the reasons I actually switched to crocheting is because I found knitting needles siriusly difficult to transport, not least of all because the stitches kept falling off. Thankfully crochet is all off the hook, so never lets me down! 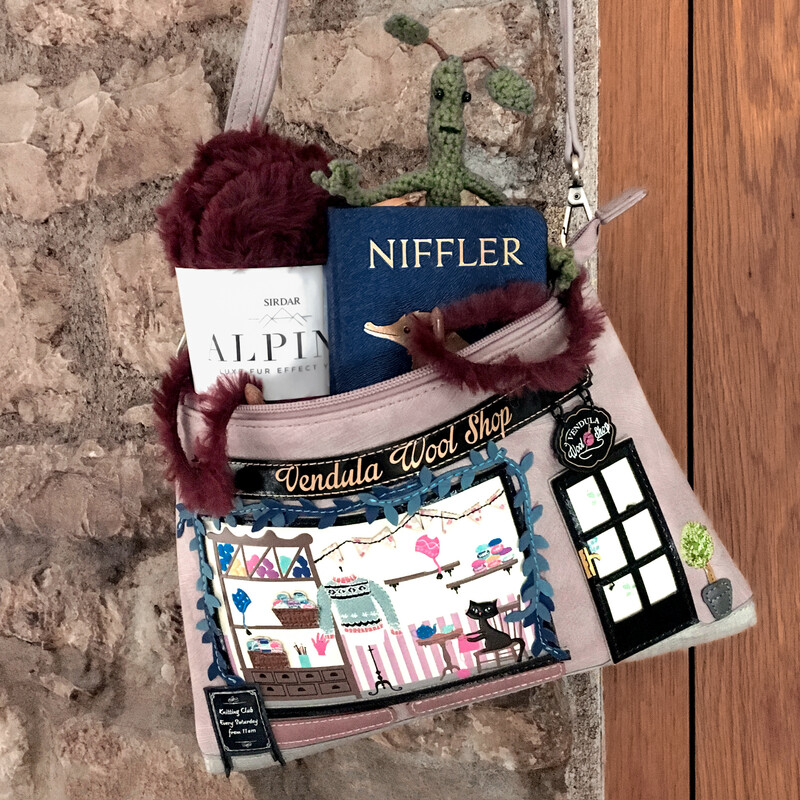 One of my favourite forms of self-care is coffee shop crochet, ft. "fluffy-as-a-cloud" cappuccino froth and "furry-as-a-cavachon" Niffler yarn. It's honestly like giving Millie a cuddle! Bonus silver lining: March was also the month that Cafe W memorised my order - soya cappuccino with chocolate sprinkles. There's ALWAYS time for chocolate sprinkles! For Day 18, Mildred and Maud Mooncalf wanted to share some WitchCRAFTING Wisdom with the world and who was I to stop them? Once again, I got very whimsical but it ended up being one of my most popular posts - not because of 'likes', but the thing that truly matters: engagement! Making MISTAKES can equally mean Making MAGIC and no one shows this better than the WORST Witch of her age... Mildred Hubble! If Maud is Hermione’s kindred spirit, than Mildred and Neville are two peas in a pod. When they’re not spilling potions (paint pots) over the floor, they’re clinging onto their broomstick (crochet hook) for dear life and praying a bottle of Felix appears. I get you Mildred? Sighed the headmistress. Well, maybe I am your shining knight, Miss Cackle." Maud may have been my Kindred Spirit growing up, but we all have our Mildred moments and it’s important to accept these! As you can see from the photo, Maud and Mildred have different coloured eyes and this caused quite a headache. I’ve been making so many Mooncalves that I had an eye-supply crisis last week, so rushed to buy more and ordered... the wrong colour. I’ve used both colours in the past, but decided the right pair (Mildred) are more akin to the FB films. So what’s a witchcrafter to do? 1) “Correct the mistake” and order more eyes. 2) Take a chance with the lighter pair and see how it looks. from What did I discover? They’re basically the colour of moonlight, aka MEANT TO BEE for Miss Maud Moonshine. I love the fact they’re different too, so these beastie besties are also beeatufully unique in their own way! These eyes may have been a mistake, but they were ultimately my “shining light” and that’s a Maker Memo to life by. This caption was very much the inspiration for my last blog post, as it's about SORTING OUT YOUR PRIORITIES. In a world of likes and lip kits, it's not always easy being Luna; however, like our eccentric heroine, I would choose one message of LOVE over 1000 likes. far more than our abilities ADbilities." As a small business, I am indebted to the magical human beans who visit Bumble & Be and CHOOSE to share #TheSPEWCrew magic on IG! It is more than a light for my business; it provides an inexhaustible source of magic for the girl behind it. It reminds SOPHIE to keep being her best beastie self, even if it doesn’t scream #instagoals, because these posts mean more than 1000 silent hearts. In a world that tells us to live by likes, I am “protected, in short, by the ability to love" - Dumbledore. This was the day that I decided to reveal a not-so-little secret I've been keeping... BIG FRIENDLY GEORGE! As he's by far the biggest house elf I've ever crocheted and used a new type of yarn, I had a lot od doubts over sharing. What if people didn't like him? What if he was "too highly priced." Nonetheless, when I saw this prompt - 'Anything Goes' - I was inspired to turn these mind muggles into some MENTAL HEALTH MAGIC, with the help of my own BFG. looking revolted at the idea. 'It'd take all the fun out of life!'" ... so that’s how George came to be! He‘s considerably bigger than any Elf I’ve made before, yet this actually happened by accident... the craft shop that sells my usual yarn was out of stock, but with a 30 minute bus journey ahead of my I wasn’t leaving empty handed! So I decided that “anything goes” and picked the next best thing, which meant upsizing from DK to CHUNKY yarn. The jury is still out on which I prefer, but I kinda love how different he is to any other Elf I’ve made!